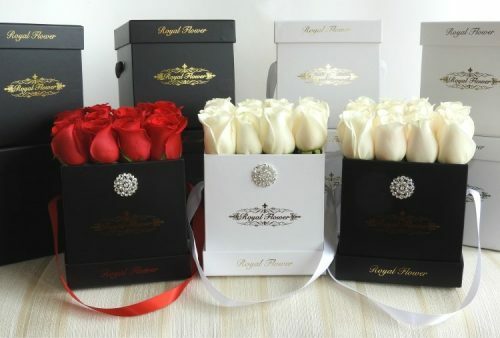 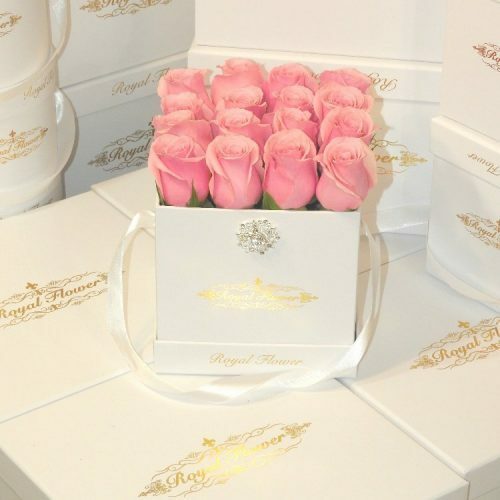 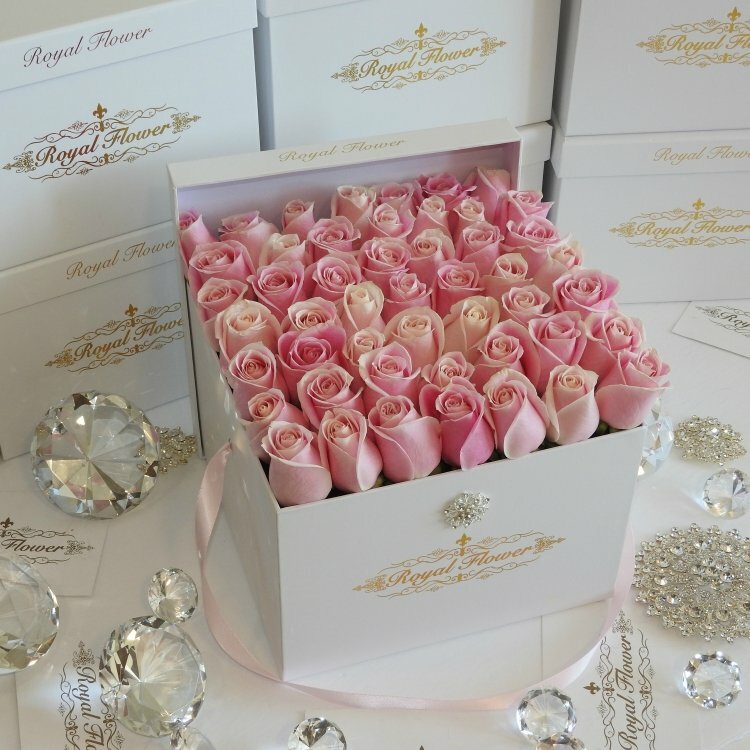 100 stems (XL square box) – 49 stems (Large box) of Hand picked royal roses with a Custom made arrangement and the box is adorned with a 1″ diamond*. 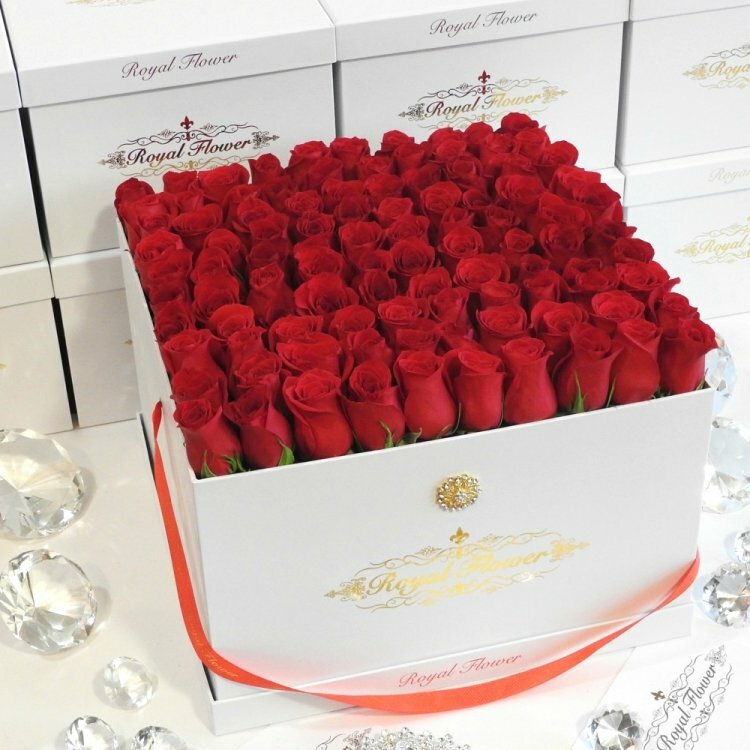 The Garnet arrangement is always elegant, chic and stunning. 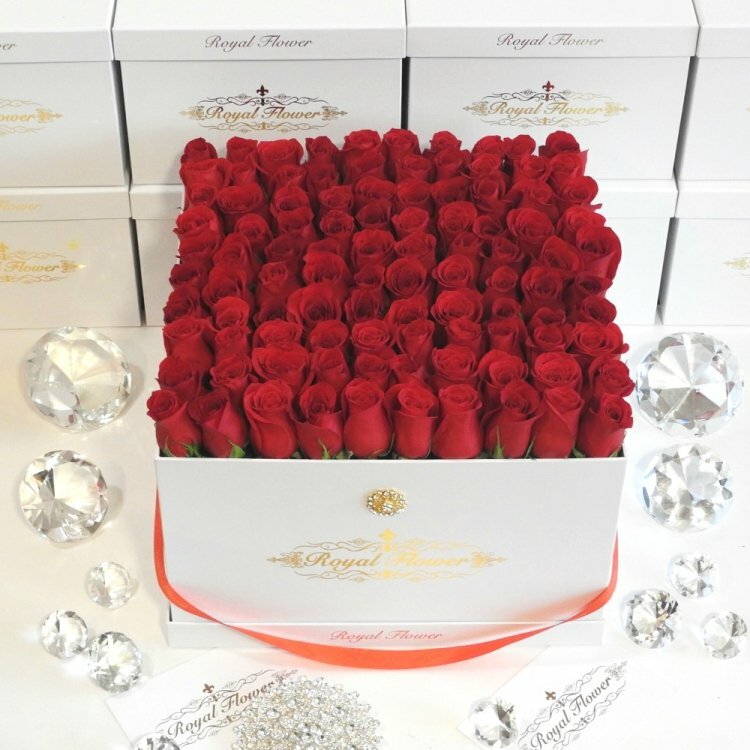 Each box has 45-50 hand picked and hand crafted roses with a Custom made arrangement and the box is adorned with a 1″ diamond. 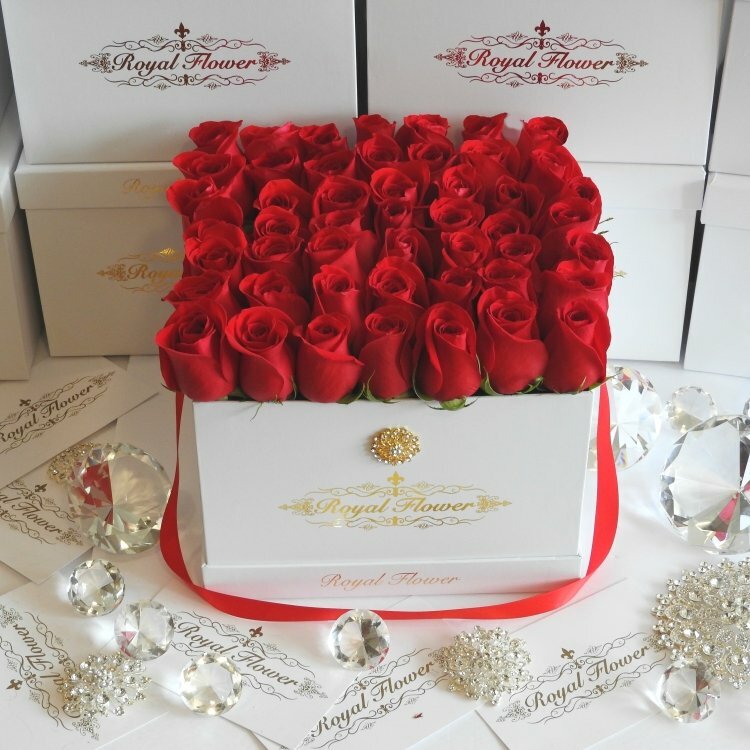 The final look and length of the arrangement is almost one foot tall.